It is not strictly classical, electronic, jazz or rock. It is all of them at once! 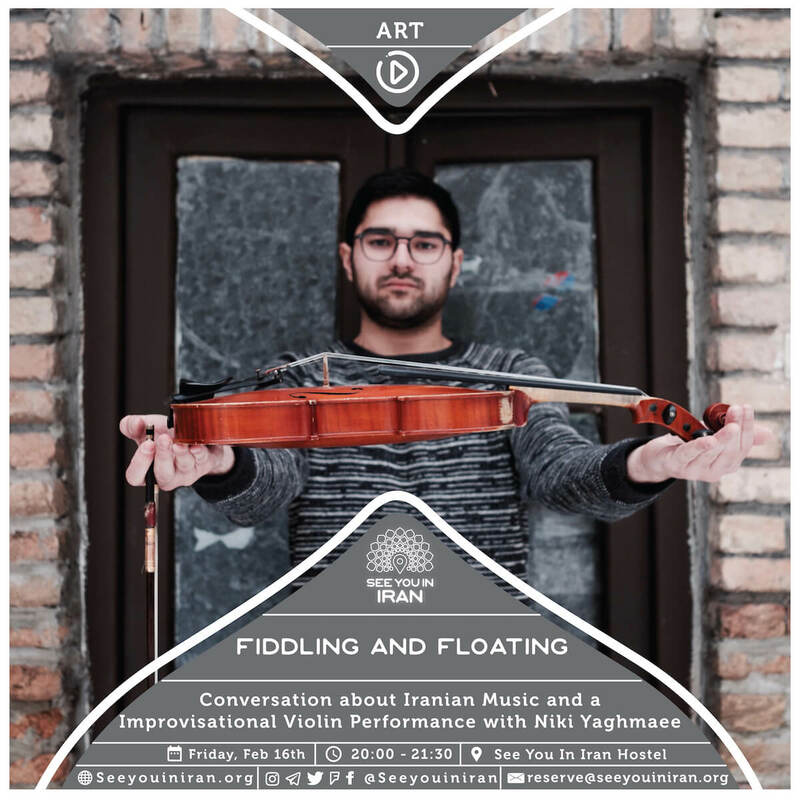 Join us for an experimental and improvisational violin performance on Feb 16th from 20:00 for See You in Iran Cultural House’s “Fiddling and Floating” event. It will feature a genre-transcending performance by violinist Niki Yaghmaee and a conversation about perceptions of music in Iran today.